From healthy breakfast muffins to terrific quesadillas, here are 15 ways to add vitamin-rich carrots to every meal. 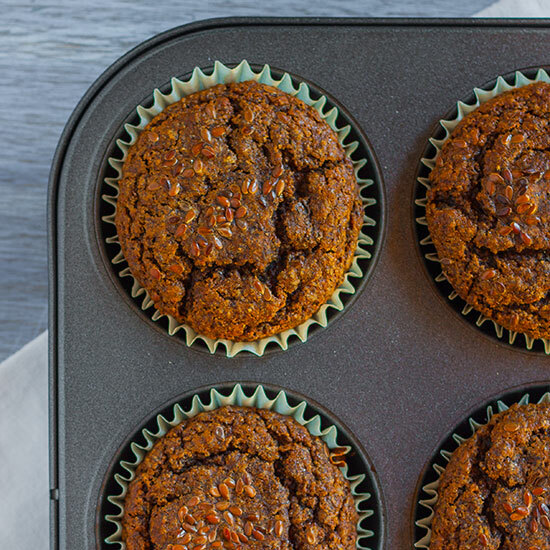 These healthy, gluten-free muffins are packed with nutrients from carrots, apples and homemade flax seed meal. Blogger Anja Schwerin's hearty breakfast is made with coconut milk and a sweet blend of carrot, mango, pistachios and cranberries. Honey sweetens this fast, yogurt-based smoothie. These fluffy, slightly chewy waffles are ready in just 30 minutes. Spoon this delicious jam on top of ricotta or toast. Harissa, the North African chile paste, adds fantastic heat to this simple salad. Hummus and Greek yogurt star in these fast sandwiches. Sriracha and honey add fantastic flavor to these healthy, vegetarian quesadillas. Nathan Myhrvold caramelizes carrots in a pressure cooker with a bit of baking soda, which speeds up the process. Sweet-tangy grapefruit dressing tops this beautiful salad. This terrific version of the classic Italian dish is great with two super-fast sauces: brown butter and sage or Parmigiano-Reggiano cream. What's the secret to this incredible side dish? Orange juice adds fruity acidity to the carrots as they cook. Naomi Pomeroy cooks carrots with Madras curry powder, ginger and garlic. Carrots are pureed, sliced into strips and marinated for this bright fish dish. Plus, the carrot tops are used as a garnish. "It's impressive and somewhat different," says Wolfgang Puck of his go-to entertaining dish.